Lemon Tart (serves 8) | Crappy Kitchen - Good Dinners! ← Meatloaf with a “Reservoir” & The Sultry Voice of The Splendid Table! I was invited to a “Pie Party” at my friend Tom’s house, and then I forgot about it until the day of the party. It is Summertime and the obvious choice for a pie around this time of year is one oozing berries and summer fruits of all sorts! Alas, I had not stocked up from the Farmer’s market and refused to go to the local supermarket for lack luster packaged fruit! When my stubbornness took over I challenged myself to go with whatever I found in my fridge or in the fruit bowl on the dining room table. The fruit bowl had a couple of sad-looking apples but my fridge offered up 3 lemons: perfect! This zingy fruit can be a life saver! If you have a pastry crust recipe you use all the time, by all means use it here. Lots of these recipes call for ground almonds but if I don’t have almonds to grind (I never buy actual ground nuts – it’s too limiting and expensive. I always buy them whole as I can then do what I like with them) try using whatever you might have. 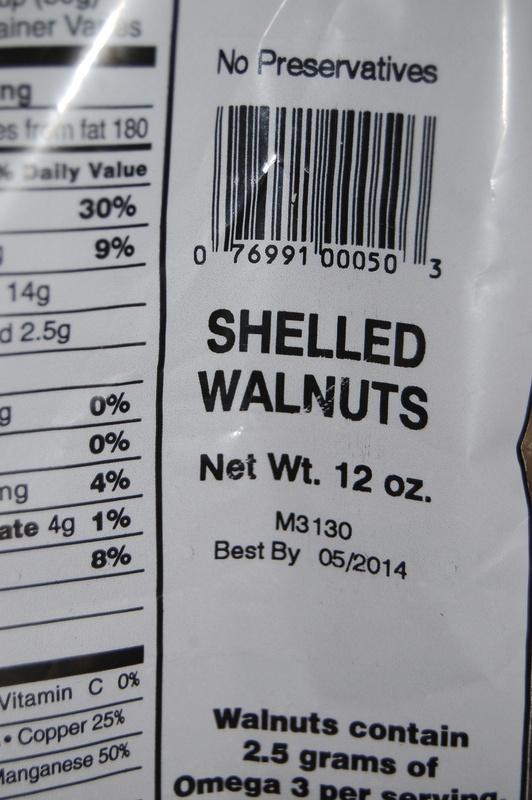 I aways seem to have whole walnuts so I used those (I also make a great walnut pesto – check it out HERE). 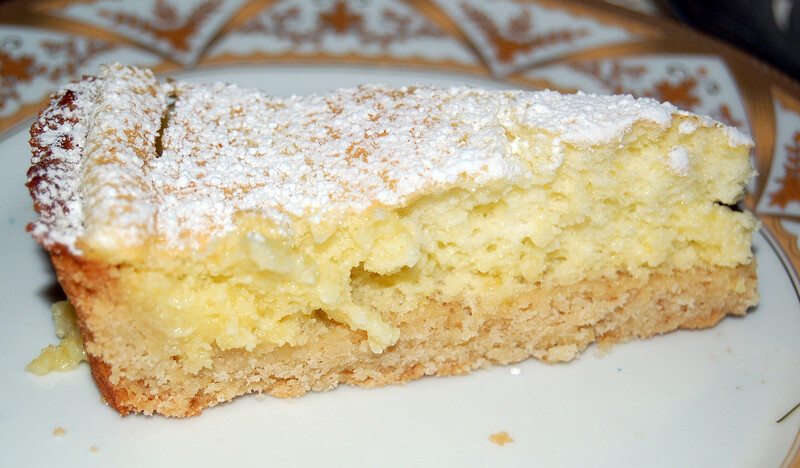 I am far from a good baker and even though in general my crust is never the best, or I don’t get my egg whites to peak perfectly, my tarts and cakes never turn out badly. 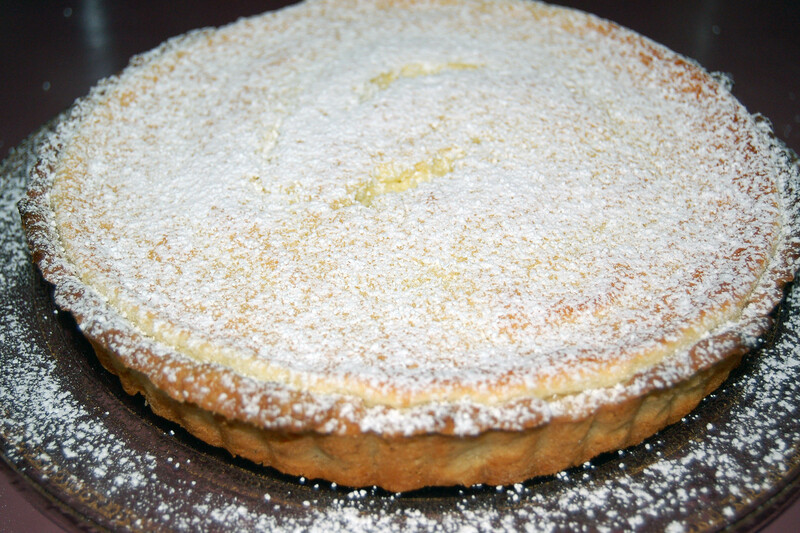 And this lemon tart was no exception and got rave reviews from lemon lovers at the party. The pie party was in full swing when we got there (somehow we always manage to be late!) and there were pies galore to try – which I diligently did over the course of the evening! 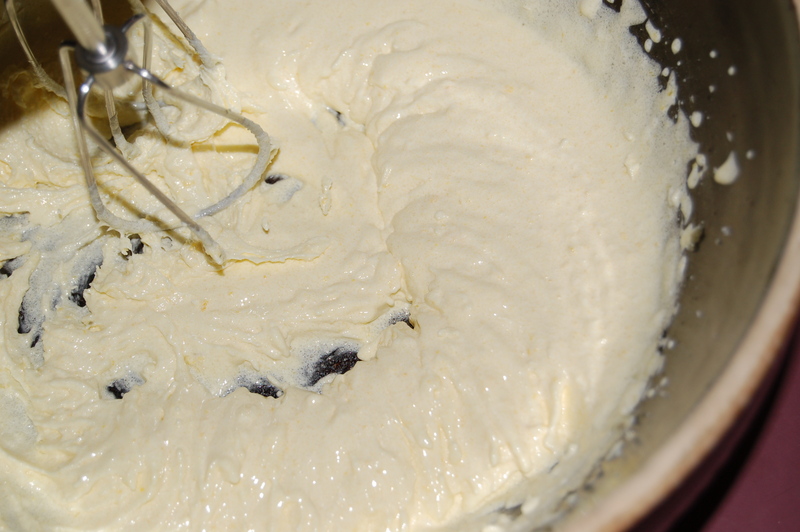 1 – Mix the flour, ground nuts and sugar in a bowl with a whisk. 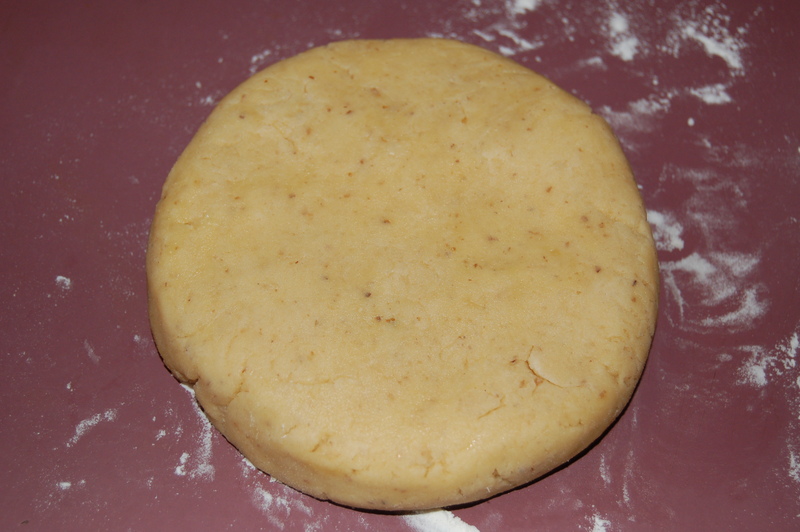 2 – Add the butter and mix it into the flour mixture using your fingertips. Add the egg and a pinch of salt and mix it together gently with a wooden spoon or your hands until it forms a ball. 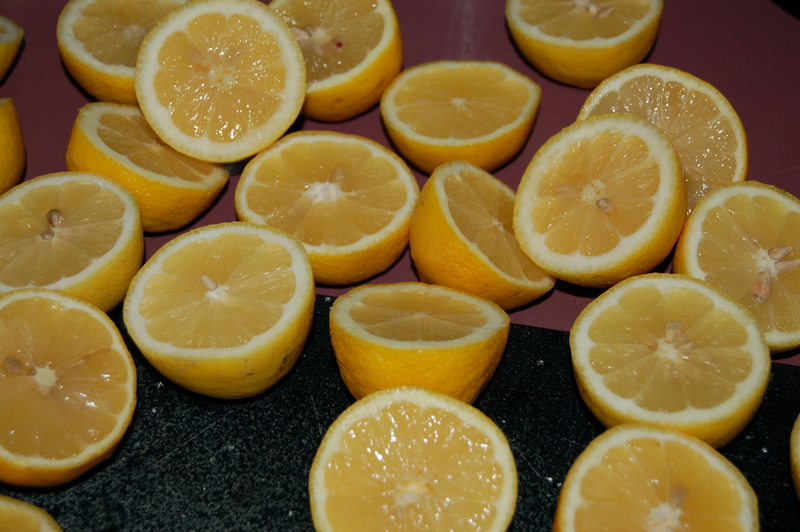 5 – While crust is in the fridge zest 2 of the lemons and squeeze juice from all 3. 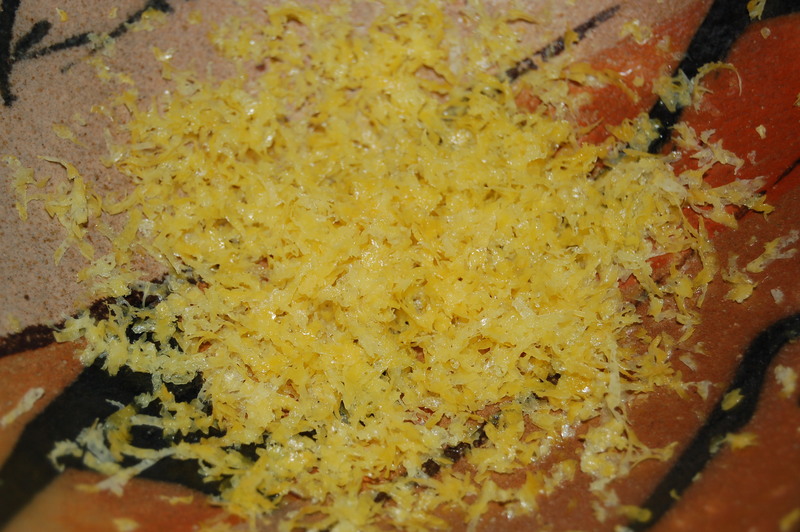 You can mix the zest and lemon juice together and set aside. 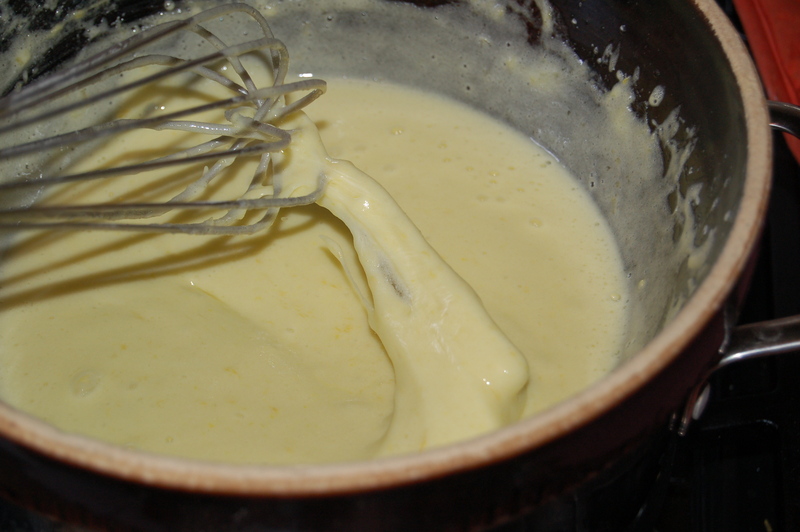 6 – In a large bowl beat the egg yolks and sugar together until thick and pale cream-colored. Then, beat in the zest and juice. 7 – Place a saucepan of water on medium heat with about a cup of water and set your bowl into it (if you have a double-boiler, even better but this is a good substitute). 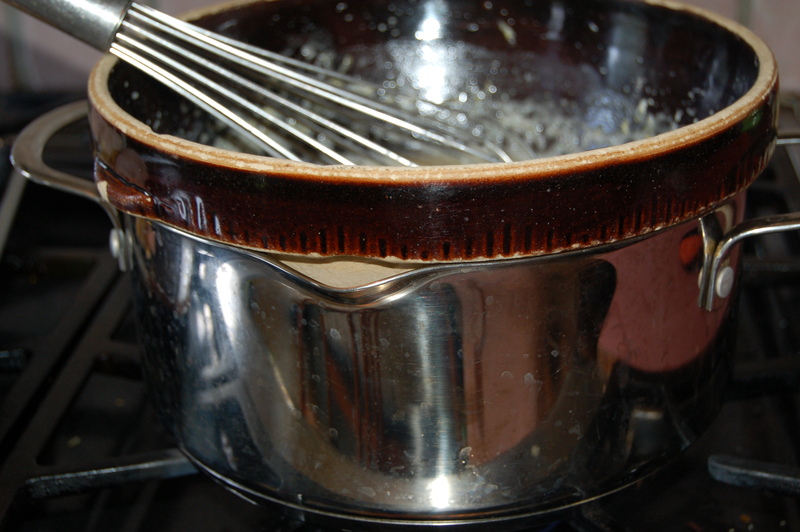 8 – Maintain a low simmer and whisk the mixture constantly until it becomes thick. This can take up to 20 minutes so be patient. When done, remove from heat and set aside. 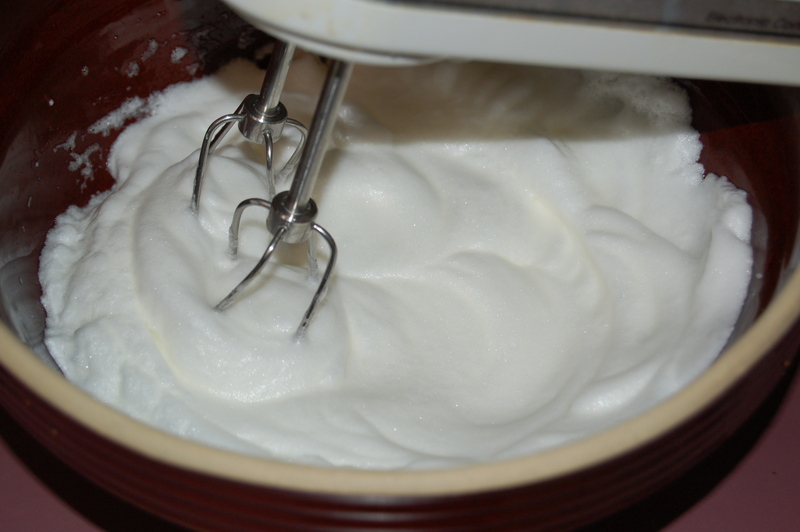 9 – Beat the egg whites until thick and peaking. Gently fold the egg whites into the warm egg and sugar mixture. 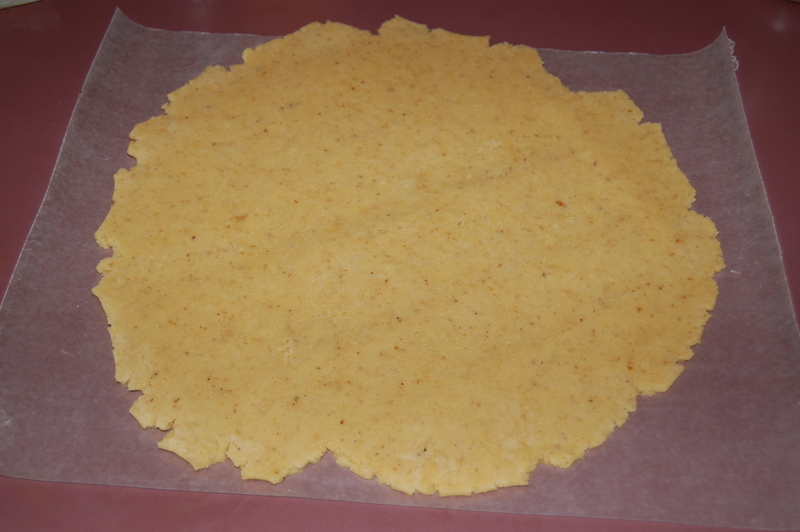 10 – Pour into your tart shell and place in the oven for about 15 minutes. 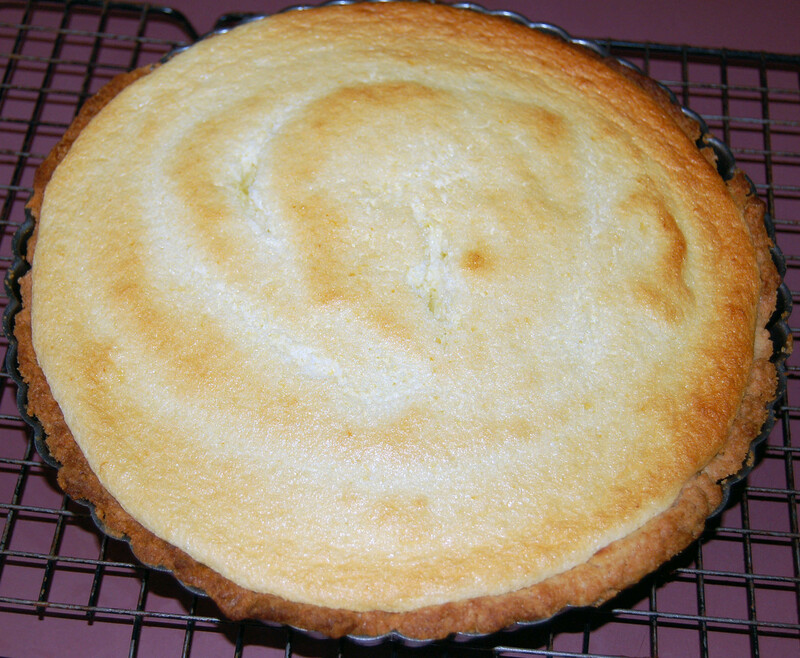 11 – Set aside to cool completely on a wire rack before removing from your tart pan. 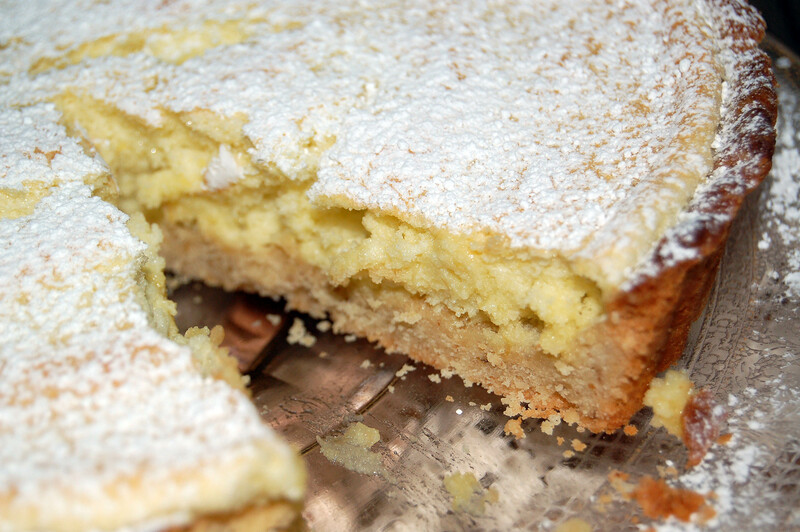 Place on a cake or pie plate and dust generously with powdered (confectioner’s sugar) sugar. 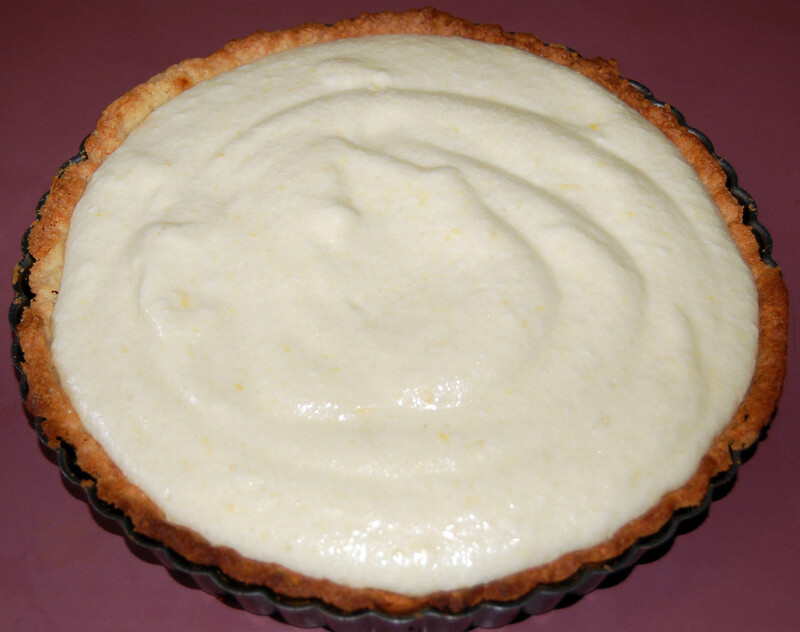 This entry was posted in Sweet Stuff and tagged dessert, double-boiler, double-boiler substitute, italian dessert, italian lemon tart, italian tart, lemon meringue pie, lemon tart, lemons, mario batali, pastry crust recipe, pie, pie party. Bookmark the permalink.